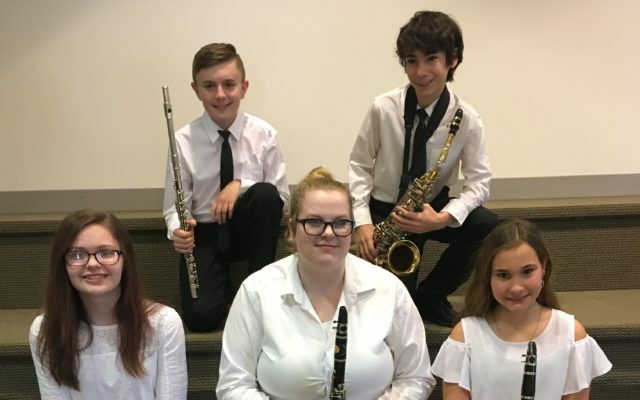 Under the direction of band director Taylor Martin, five Madawaska music students traveled to Ashland on Jan. 18 to perform at the All Aroostook concert. MADAWASKA, Maine — Under the direction of band director Taylor Martin, five Madawaska music students traveled to Ashland on Jan. 18 to perform at the All Aroostook concert. The junior high members formed a 100-piece orchestra and played songs like “West Side Story” and “Declaration in Blue” under conductor Marilyn Buzy, percussion educator at Colby College.